Thank you for visiting our website. 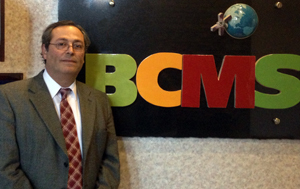 I hope you enjoy learning more about BCMS. In that spirit, I thought it might be useful for me to describe the philosophy that organizes much of what we do as a company. At BCMS, we are committed to providing exceptional products and services that allow our clients to compete and win in the marketplace. We do this through both in-house solutions and partnerships with leaders in their fields. As a result, we bring to businesses of all sizes the same innovative services used by Fortune 500 companies. The services we offer—beginning with our state-of-the-art payment processing solutions and including our unique financing program and our cutting-edge Point-of-Sale system—are described on this website. I like to think of them as the cylinders of a very powerful engine. It is up to you to decide how many of them to engage, but I hope you will engage us to our fullest potential. I believe that doing so will help you reach your fullest potential too. Indeed, as an entrepreneur myself, one thing that’s so rewarding for me personally is to see every day how the products and services we provide help other entrepreneurs more fully realize their creative visions for their companies. Again, thank you for taking the time to learn more about us. I hope you will contact one of our Account Executives to tell us how we can serve your unique needs. In addition, please feel free to contact me at any time with any comments and suggestions you might have.